Barnes & Noble Announce New Self-Publishing Service "PubIt!" While it’s already possible for indie writers to self-publish through Amazon, Barnes & Noble – the world’s biggest “physical” retailers – have just announced plans for a new self-publishing service called PubIt! 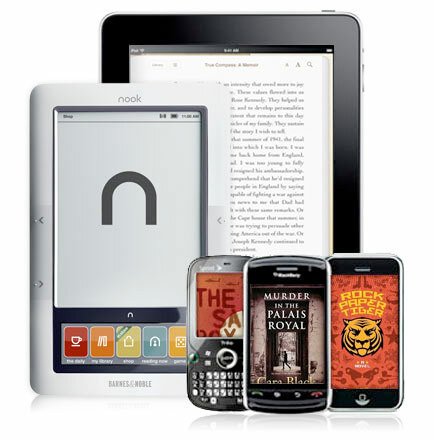 The move is sure to fire up competition, with the service being accessible not just on B&N’s own Nook eReader, but also on any mobile device with the BN eReader app – which at this stage includes PC, Mac, iPhone, iPad and Blackberry. NEW YORK, May 19, 2010 (BUSINESS WIRE) — Barnes & Noble, Inc. the world’s largest bookseller, is extending its deep and longstanding tradition of supporting authors and publishers with PubIt! by Barnes & Noble, an easy and lucrative way for independent publishers and self-publishing writers to distribute their works digitally through Barnes & Noble.com and the Barnes & Noble eBookstore. The easy-to-use publishing and distribution platform offers qualified independent publishers and authors of self-published works expanded distribution, visibility and protection that only Barnes & Noble can offer. The announcement marks Barnes & Noble’s latest move to continue to build one of the world’s largest digital catalogs, spanning eBooks, journals, periodicals and other types of reading material. PubIt! titles will be distributed through BN.COM and Barnes & Noble’s eBookstore, which currently offers more than one million digital titles to millions of dedicated customers in-store and online. Independent publishers and writers will appreciate PubIt!’s simple and competitive royalty model and compensation process, the details of which will be available in the coming weeks. Content owners’ intellectual property will be well-protected with Barnes & Noble’s best-in-class digital rights management technology and offered in the industry standard ePub format that allows publishers’ works to be enjoyed by millions of Barnes & Noble customers on hundreds of the most popular computing, mobile and eBook reading devices. Whether online or on-the-go, Barnes & Noble customers will have access to PubIt! titles with the opportunity to browse, sample, buy and download the digital content in seconds to their devices with free BN reader software. Using Barnes & Noble’s breakthrough Read In Store(TM) technology, NOOK(TM) customers can also browse the complete contents of PubIt! titles while in Barnes & Noble stores. PubIt! is a convenient one-stop-shop, allowing publishers to get their content in front of consumers for purchase and reading on the most widely adopted mobile devices and software platforms. By following simple steps to upload their content in an industry standard format for electronic titles, content creators can reach consumers on hundreds of devices including: NOOK by Barnes & Noble, PC, Mac(R), iPad(TM), iPhone(R), BlackBerry(R) and others. For more information on free BN eReader software and apps, please visit www.bn.com/ebooks/download-reader.asp. More information on PubIt!, which will be available this summer, and the benefits of joining Barnes & Noble’s expansive and trusted digital content catalog can be found at www.bn.com/pubit.